This homemade costume for babies entered our 2017 Halloween Costume Contest. Babies First Halloween! 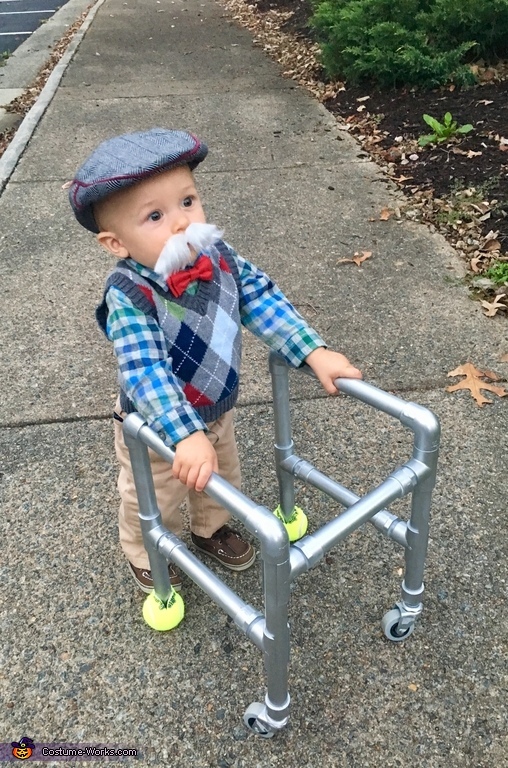 DIY old man costume! The homemade walker is made out of PVC pipes and spray paint with working wheels and tennis balls to make it more realistic! Total cost of costume was around $50.